Some people develop a hypersensitivity to certain substances we encounter every day, While normally harmless, they can sometimes trigger allergic reactions from the immune system, causing them to become irritants or allergens . Some of the most common allergens are pollen, dust and grass, which is why spring, summer and fall see the highest occurrence of allergies. Airborne allergens like pet dander and lint abound as well Cigarette smoke can be also be a culprit in allergic reactions, as can certain intense smells. 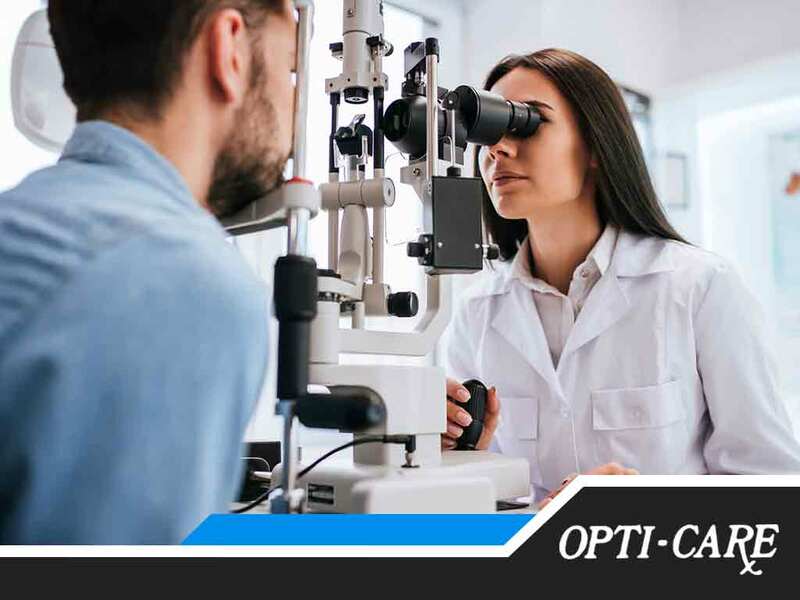 Opti-Care, your eye exam experts, states that while symptoms may vary, allergic conjunctivitis usually manifests in the form of red, irritated and itchy eyes. You may also have watery or runny eyes. More severe cases involve eyelid swelling, which may or may not be accompanied by pain, particularly a burning sensation. You could also experience an increased sensitivity to light. If you experience any of these symptoms, we advise seeking expert help immediately. Prevention is better than any cure, so we recommend avoiding your specific allergens as much as possible, and trying to keep from rubbing your eyes. When going outdoors, wear wraparound-style sunglasses to limit the amount of air coming into contact with your eyes. To further lessen direct contact with your eyes, we additionally suggest wearing eyeglasses instead of contact lenses. We may also prescribe artificial or decongestant eyedrops and antihistamines. If you have further questions on eye allergies or conjunctivitis in general, call us today at (410) 600-3173. We look forward to helping residents of Maryland, particularly those in Westminster and Marriottsville, MD.